The middle-distance athlete discusses balancing his running ambitions all alongside a career as a science teacher, and also provides an insight into his training set-up. 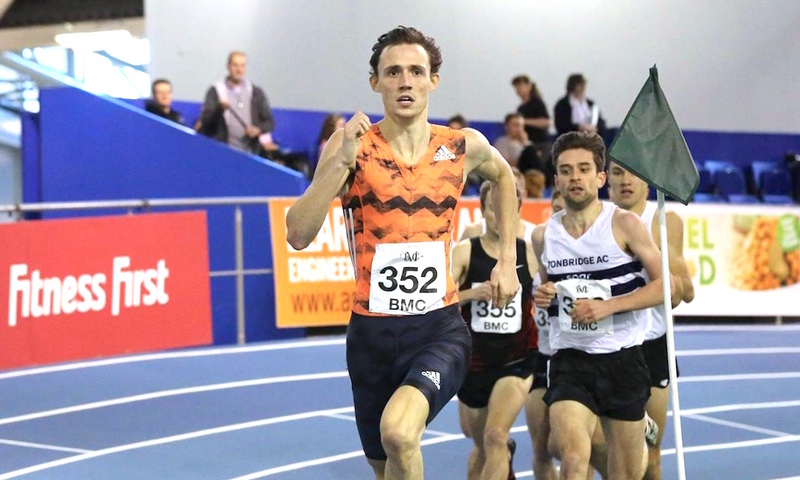 Jamie Webb started his 2019 season with a bang over 800m and 1500m, winning the Cardiff MET GP followed by the Sheffield BMC in style with a 3:43.59 PB. He works full time as a science teacher in London, but hasn’t let a hectic schedule get in the way of his track career. Buoyed by the support of his dad and coach, Adrian Webb, and all those involved with the exciting London TRY (The Run Yard) Adidas team, the talented Liverpool fan has been making encouraging progress up the ranks. A Pharmaceutical Chemistry and Medicinal Science masters graduate, he is clearly a bright spark on and off the track, which is one reason why he has no plans to become a full-time athlete any time soon. “I don’t think I would ever be completely full-time,” he tells Fast Running. “I like the intellectual stimulus, so I think I would always have to be doing something else. In the modern world a career is hard to find. “My family has always pushed and supported me, not only in my sport but also my career, and put high values on both. 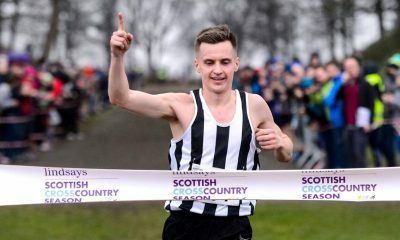 The 24 year-old, who also boasts 5k and 10k PBs of 14:33 and 31:04 for 5k and 10k, spent a year being coached by British Athletics’ Rob Denmark in 2016 before returning to the familiarity of his dad’s expertise. “It didn’t work for me – I learnt a lot from the mistakes in that period, and realised you have to find what works for you as an individual,” he says wisely. Webb senior directs and oversees all his schedules and programming to enable him to juggle his training in both London and Cambridge with the elite adidas TRY group. TRY is a collective group of leading endurance and strength and conditioning coaches, physios and middle distance athletes of all levels. The team is based at London’s Battersea Park and the Olympic Stadium. The chemistry teacher is a member of TRY’s elite Adidas-sponsored group that includes 3:38 1500m athlete Dale King-Clutterbuck. “It’s an amazing set up at London TRY Adidas,” he explains. “We often stay as a team on training weekends at the 5 star Hotel & Spa at the Varsity & Glassworks Gym in Cambridge. “We’re incredibly lucky to have everything you could ever need there, from nutritional chefs, physios and full use of all facilities. 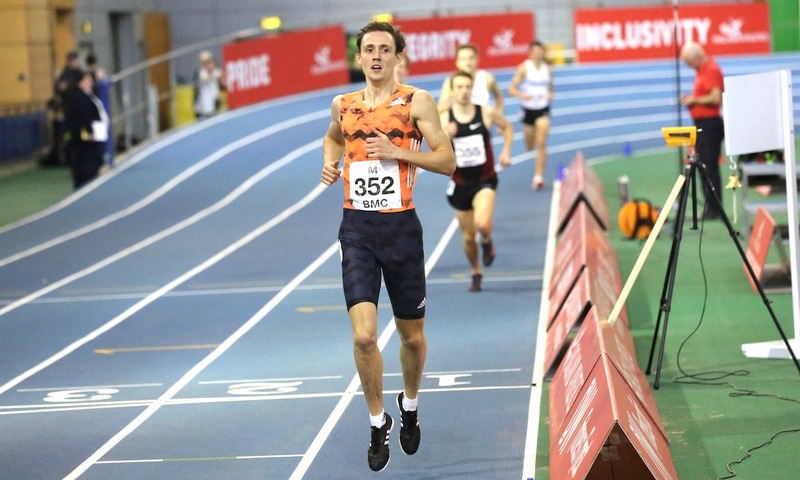 It’s clear Webb has found his feet with his enviable set up, although he has worked very hard to achieve his current status as one of the most exciting up and coming middle-distance talents in the UK. The Liverpool Harrier has spent the last few years travelling all over the world, competing in America, Australia, Austria, Slovakia, Belgium, Denmark, Latvia and Estonia, to name but a few. “England Athletics have been really supportive of my career to date, but so have my parents, supporting a lot of races abroad in the early years,” he says. “The experiences of the last few years have been great. A lot of races will fund me attending, so I’m not profiting but it’s sustainable. Webb had just returned from another trip abroad when he spoke to Fast Running, this time to Dortmund in Germany for an indoor 1500m race (he ran 3:48.63). The athlete who says he makes Liverpool FC’s James Milner ‘look like a party animal’ (the Liverpool midfielder is affectionately nicknamed ‘Boring James Milner’) is excited to see what the rest of 2019 holds for him and his TRY group. “My main aim is to really enjoy my running, which I am doing thanks to the group I train with,” he reveals. “The dynamics within it make you look forward to the next group session at Battersea or in Cambridge. “The group are all mega supportive of each other, and the sessions – whilst very tough, from the long warm ups, cool downs and high volume sessions – are always a laugh. “My main goal is to be in the top two at the UK indoors to make the Europeans. I have the standards now from Cardiff but just need to be in the top two. Webb is no stranger to success, having enjoyed multiple wins throughout his junior and U23 career at BUCS and national championships. Last year saw him win yet another BUCS 1500m gold alongside a fifth place at the British Athletics Championships 800m, not to mention a fourth at the Stockholm Diamond League 800m. In fact, between 2014 and 2018 he won numerous English, British and university titles on the track in various age groups, topped off with a GB call up for the European Championships in Amsterdam in 2016. 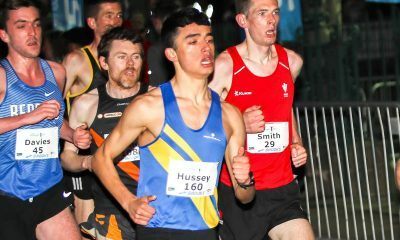 Alongside all of those achievements on the track, he has developed an enduring passion for 5k road racing, specifically at Barrowford’s Podium 5k, organised by Ribble Valley Harriers’ Chris Barnes. What is it about Podium that makes the Adidas athlete keep going back for more? “The reason I do it is that it’s the one element we agreed to keep from the past when we sat down in September to discuss plans going forward,” he explains. “So it will be a fixture that stays in the book and I recommend anyone to try it out. “Podium events are so well organised, and the officials and volunteers make it a must go-to event. “The last Podium 5k I did where I ran 14:33 in December (Webb won the A race) gave me a huge buzz. My run there told us we were really going in the right direction. Webb is keen to thank the other important figures in his athletics career aside from his dad and Adidas, as, without them all, he would struggle to fit everything in as successfully as he is. 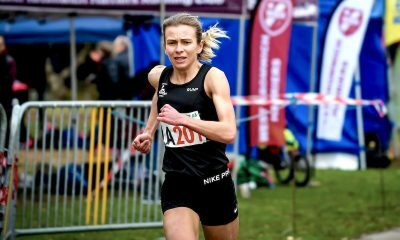 “Spencer Barden (head of elite fields at UKA) has been a great help over the years, for races as well as for advice,” he reveals. “My agent Dave Klink at Bizz Sports has really looked after me since last summer as well, helping me get some higher profile races. “I would also like to take this opportunity to say a huge thanks to my family for their support. My training group in London are key to my progress and love of the sport too. They include Jack, Rev, Dale, Jonny, Sean, Chris, Luke, James, as well as the Nandos near Richmond Hill!